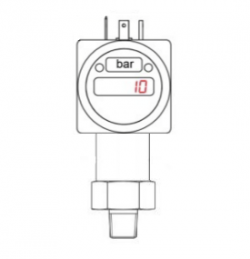 A digital display pressure transducer for air extraction use to measure negative pressure difference of air inlet over a range of 0 to -15 psi g from a 1/4 NPT male process connection, and sending the corresponding 0-10Vdc signal through the DIN plug electrical connection. This DS 200 negative gauge range pressure transducer can be used in air fans and blowers for extracting dust and fumes to measure negative air pressure from 0 to -15 pounds per square inch gauge. The transducer is installed using a 1/4 inch NPT tapered male thread to measure the air, and the 0 to 10 volts dc analog output is connected to signal monitoring instrumentation using the DIN plug pin connector. 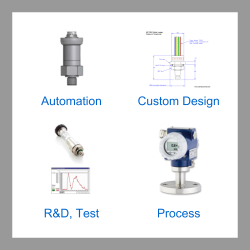 Please complete form below to request a quote for -15psig 0-10V out negative pressure transducer and display for air extraction use. Send us your enquiry for -15psig 0-10V out negative pressure transducer and display for air extraction use to get assistance with this product type.